The mystery and secrecy surrounding the Deep State in Kenya underwent an attempted explanation. An internet user took liberty to really explain what the 'deep state' is and why fighting it is an exercise in futility. Whether a conspiracy or not, the Twitter user made some interesting points on what really is the Deep State and what they do. Rumours say that at the end of it all and in every election, it is the deep state that allows someone to become president. What is scary is that nobody really knows who they are. Kenyans are left to wonder if democracy is practical or it is just an idealistic dream. You go out and vote and believe your vote will count. Hopefully. + Government runs the Government. + State runs the country. + Deep State runs the nation. Murathe is the silhouette face of deep state. GOVERNMENT - is the de jure system that manages the COUNTRY'S Resources. STATE - a quasi constitutional system which dictates how instruments of Government should manage resources. 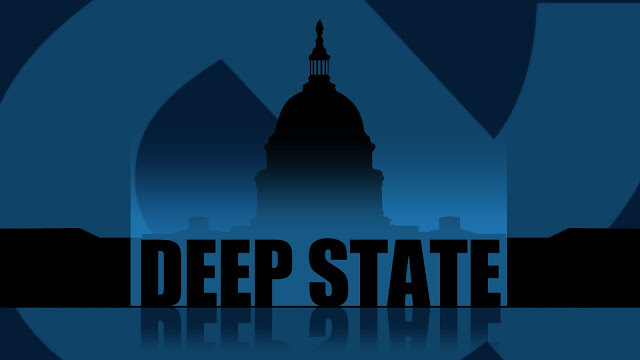 DEEP STATE - The de facto system that controls the ethos, pathos and logos of a NATION. COUNTRY - is a GEOGRAPHICAL area defined by agreeable borders where people who share the same resources live together. NATION - A collection of shared beliefs, ethics, morals, values and self determination. THE DEEP STATE controls and runs a nation. Governments are not corrupt. The DEEP STATE is the source of corruption. STATE orders Government to facilitate the theft. So if Kenyans are subject to control and manipulation by the deep state, then who is behind it? In the past 10 years, the levels of corruption in the country have skyrocketed to heights never seen before. Sadly, it has become normal.